Remodels are all about ditching the old and going for the new. When you decide that you want to spruce up your interiors there’s nothing wrong with going all out and making a huge mood board to convey your ideal aesthetics. 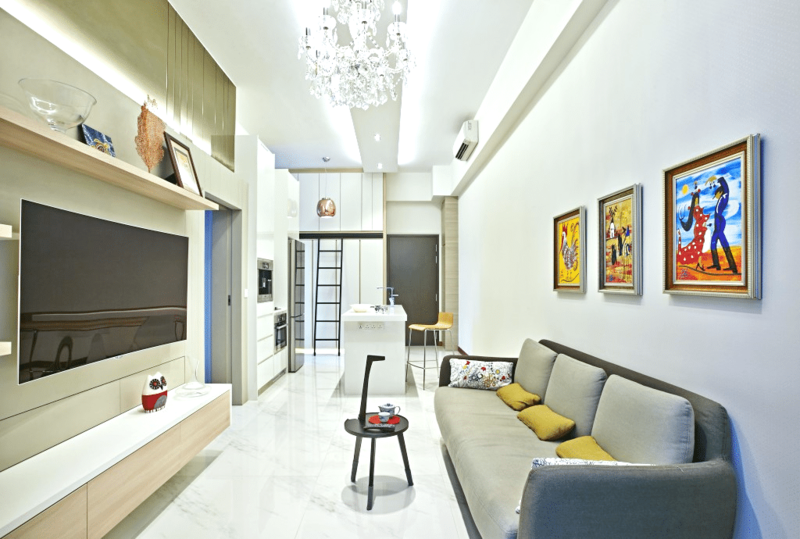 Modern makeovers tend to take the old and dingy, and gives them a brand new personality that reflects the tastes and ideals of the clients. Most of these interiors follow the hottest trends, but many can be uniquely acquired tastes. Below, let’s take a look at some homes that got the best modern makeovers! While sliding doors were a complementary replacement in most contemporary makeovers, this interiors takes it up a notch by introducing sliding walls. 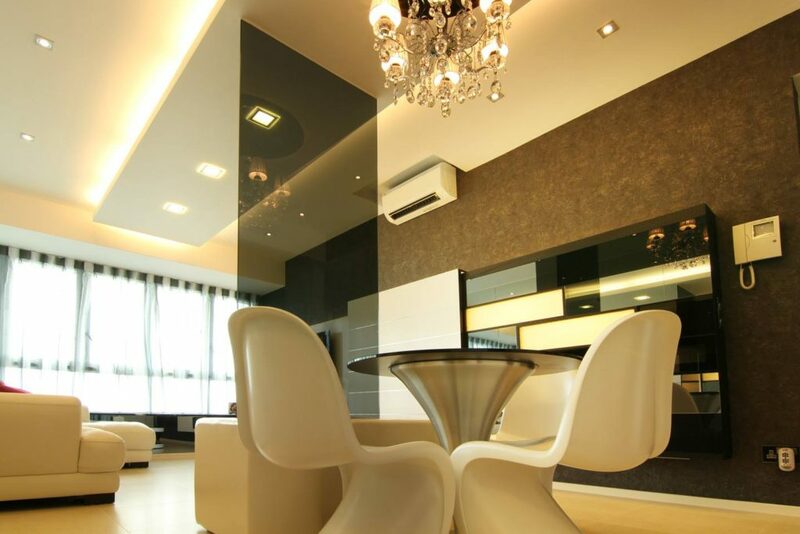 Now you can change the entire outlook of your home completely at will, with no hassle at all. Each piece of furniture and accessory has been carefully curated to fit in with the overall aesthetic of this home. The complete makeover of this modern home is quite inspiring without going overboard. 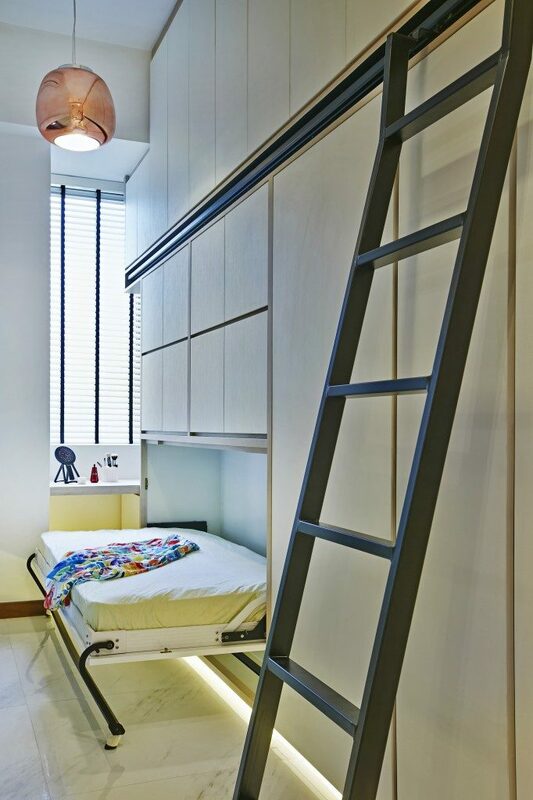 While most home owners invest in the general physical outlook of their interiors, other invest in space saving strategies. The interior below is a good mixture of both ideas, where the designers have swept most of the functional spaces in a vertical fashion while utilizing the rest to emulate a spacious setting. 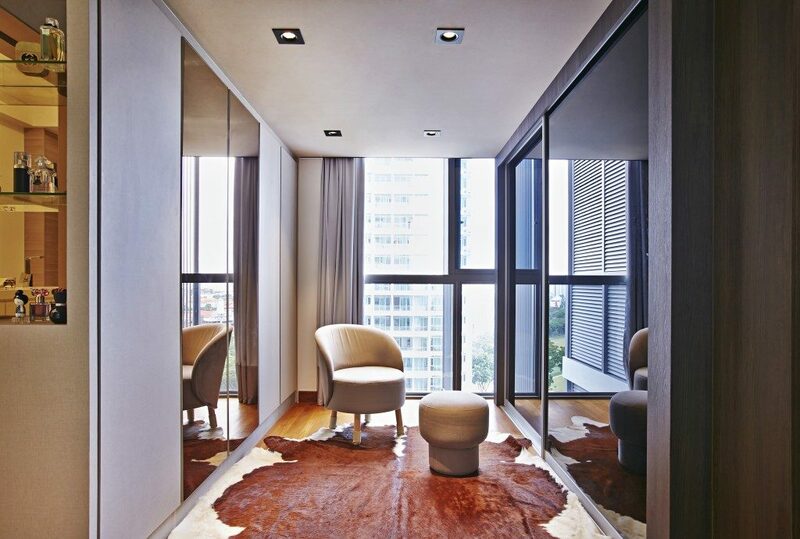 These narrow spaces seem to be an omnipresent entity within the current design world. Designers have come up with various methods to defy the inherent constraint of these spaces. The one in the image below has been carefully decorated with the best colors and lighting to chase away the ‘narrowness’ that defines the space. 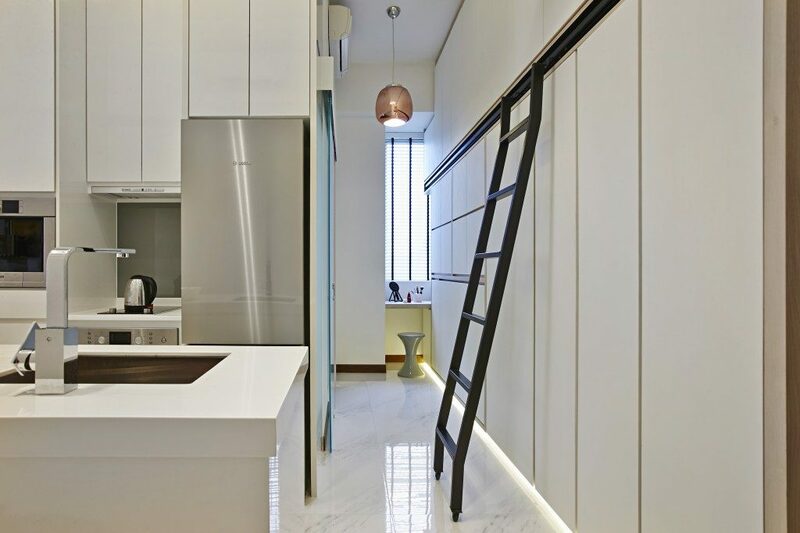 While kitchen designing is a hotbed for new innovations, none can quite beat the idea of a vertical pantry. This is definitely an advent in the right direction, where the space constraint has spawned a uniquely inspiring idea for a modern remodel. Alcoves tend to be left out spaces if the interiors are not perfectly aligned with their functional aspects. The image below shows an example of an alcove done right. 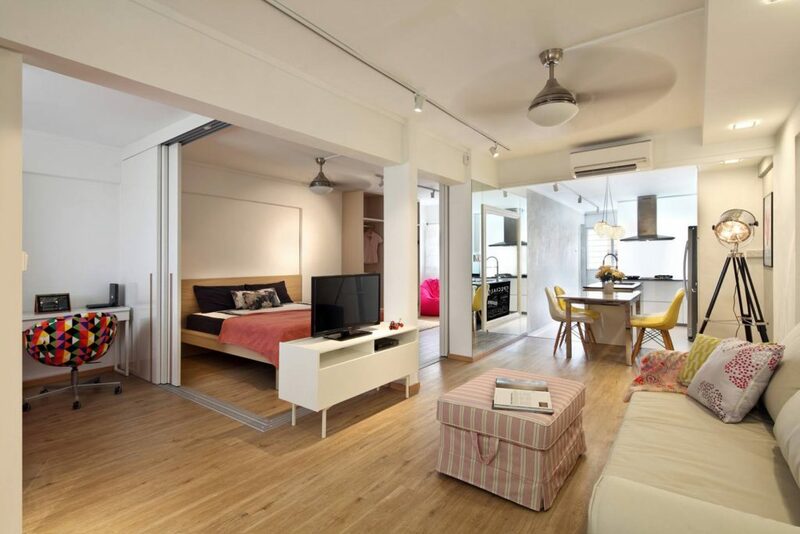 The step-up seems to elevate the character of the space, while the trendy furnishings enhance the aesthetics. The overall impact is quite fashionable and alluring. A modern makeover cannot be complete without proper use of contemporary materials, and that is exactly what this interior accomplishes. The very strategic use of materials set this interior apart. Combined that with the stylish furniture and beautiful lighting; you’ve got quite a beauty.